This pre-wired, drop-in pickup assembly for Tele® includes a Twang King™ Bridge, a Twang King™ Neck pickup, control plate, knobs and a complete wiring harness featuring solderless installation. 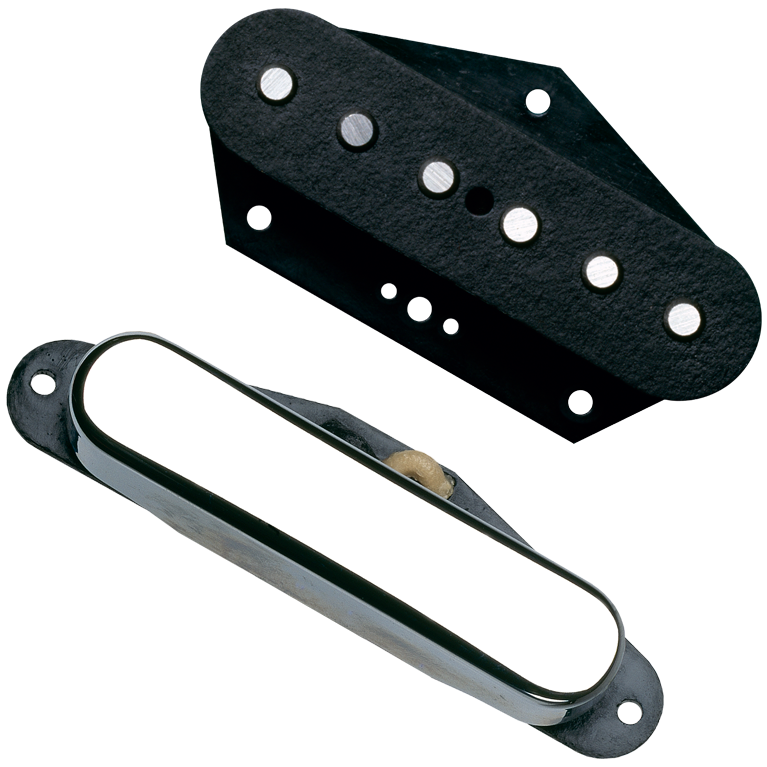 The Twang King™ pickups are a result of our pursuit for the best elements in a classic Broadcaster® and Telecaster® sound, and then some. The Twang King™ Bridge and Neck pickups have unequaled response to pick attack: light playing produces a soft, quiet tone while hard picking creates a harder, louder more dynamic sound than any comparable single-coil. We accomplished this with a combination of controlled-tension coil-winding, special wire and hand-calibrated magnets. We wax-pot these pickups twice for squeal-free performance. The Twang Kings™ produce big, clean lows and highs, yet are able to handle a very wide dynamic range so the sound cleans up with soft picking yet really opens up with harder pick attack.